There is nothing complicated or expensive about an asthma diet, but simple changes in your eating habits can have a huge effect on your health. While there is no magical diet that will eliminate breathing problems completely, studies have shown that the right diet can produce wonderful benefits. There are some food additives that should be eliminated from the diet of an asthmatic. If consumed, they can cause adverse and severe reactions. Salt, sulphites and many preservatives and additives should be avoided. Some artificial food colorings can cause problems too. Reducing or removing these from the diet may help some see a huge improvement in their asthma. A diet that is filled with fresh fruits and vegetables, high in omega 3 fatty acids and antioxidants is beneficial to anyone. But it can be particularly beneficial for those who suffer from asthma. Be careful to avoid foods that have proven to trigger attacks. It is can be easier to avoid an asthma attack if certain foods are avoided as soon as they have been identified as a problem. Read labels and always check ingredients to ensure you are avoiding foods that might cause breathing difficulties. 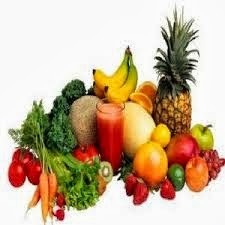 An asthma diet is well-balanced and has the right vitamins and minerals is your ace in the hole. Besides avoiding foods that are known to be asthma triggers, it is also important to have foods that will boost the immune and respiratory systems.